The thinkers of ancient Egypt, Greece and India recognized that numbers governed much of what they saw in their world and hence provided an approach to its divine creator. 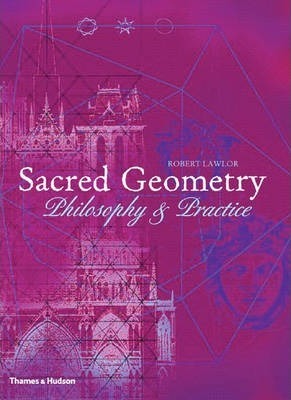 Robert Lawlor sets out the system that determines the dimension and the form of both man-made and natural structures, from Gothic cathedrals to flowers, from music to the human body. By also involving the reader in practical experiments, he leads with ease from simple principles to a grasp of the logarithmic spiral, the Golden Proportion, the squaring of the circle and other ubiquitous ratios and proportions. This book is part of the Art and Imagination series, gloriously illustrated paperbacks which cover Eastern and Western religion and philosophy, including myth and magic, alchemy and astrology. The distinguished authors bring a wealth of knowledge, visionary thinking and accessible writing to each intriguing subject. Robert Lawlor is a mythographer, symbologist and New Age author of several books.